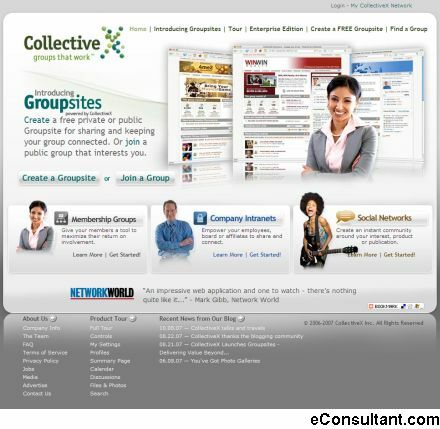 Description : CollectiveX is pioneering a new class of communications and social networking services designed explicitly for organized groups. It combines the best of group coordination and communication (a category currently occupied by Yahoo! Groups) with social networking capabilities beyond LinkedIn and other such services.